Introduction; Object detection; Shape analysis; Analysis of roundness/sharpness; Orientation analysis; Arrangement analysis; Conclusions; Computer programs. 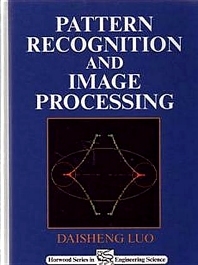 This book delivers a course module for advanced undergraduates, postgraduates and researchers of electronics, computing science, medical imaging, or wherever the study of identification and classification of objects by electronics-driven image processing and pattern recognition is relevant. Object analysis first uses image processing to detect objects and extract their features, then identifies and classifies them by pattern recognition. Its manifold applications include recognition of objects in satellite images which enable discrimination between different objects, such as fishing boats, merchant ships or warships; machine spare parts e.g. screws, nuts etc. (engineering); detection of cancers, ulcers, tumours and so on (medicine); and recognition of soil particles of different types (agriculture or soil mechanics in civil engineering).